I have taught Oriental Dance at Adult Education Centres since 1997 and at Turku University as part of University Sports Programme since 1998. I have had my own Moon Dance Studio in Turku, Finland, since 2005. I have given workshops in Finland since 1997 and have also given workshops abroad in Tallin, Estonia, and Stockholm, Sweden. Performing is highly significant for an artist, and I have been fortunate to perform both with various dance groups as well as solo in Finland and abroad. My first performance took place in 1992 and I am still on that road. Dancing has taken me to some magnificent places and introduced me to many lovely and wonderful people! Oriental Soul -show 22nd Sep; producers Riitta Hintikka & Anita Lähde, Helsinki, Finland. Helwa Halawa -show 9th June. ; Welwa International Oriental Dance Festival, Organized by Studio Henna & Amina, Helsinki, Finland. Masrah Association's 25th Anniversary Gala, 21st Oct; Masrah Assoc., Helsinki, Finland. Oriental Dance Festival / Savonlinna, 9th - 11th June; international Oriental dance festival, production Farah - Ilon ja Onnen Tanssi ry. & Karkadeh Assoc., Savonlinna, Finland. Kuunsillalla - On Moonbeams, 4th Feb; personal jubilee show, Turku, Finland. Stockholm Belly Dance Festival, 6th May; Stockholm, Sweden. Orient Express, 14th April; a concert by Kari Kriikku & Turku Philharmonic Orchestra, Turku, Finland. Soiree Grand Gala,13th Feb; organized by Karkadeh Assoc., Turku, Finland. 124 Moons; 10th Oct 2015, MDS's 10 year anniversary gala, Turku, Finland. 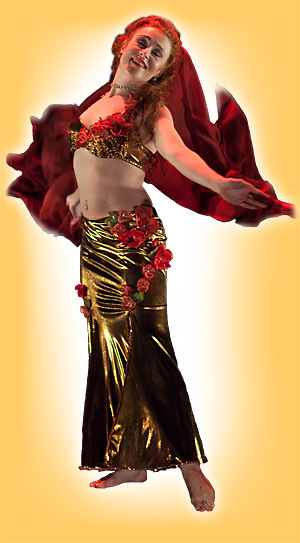 Stockholm Belly Dance Festival; 15th May 2015, Stockholm, Sweden. Hype the North; 11th June 2015, Oriental Hype -Festival, Helsinki, Finland. Organizer: Oriental Hype. El Raqs Hayati, Helsinki, Finland 21st March 2015: Mahmoud Reda's 85th Anniversary Show, organized by El Hosseny Dance. VUO 5.June, Tampere, Finland; organised by Karkadeh Assoc. A joint performance of Oriental Dance, Flamecno and live music. International Oriental Dance Summer Festival, Tampere, Finland, 6th – 8th June. Organized by Karkadeh Assoc., Mihrimah ry, & Tanssiyhdistys Sahara ry. VUO (FLOW), 4th Oct, Helsinki, Finland; organized by Karkadeh Assoc. A joint performance of Oriental Dance, Flamecno and live music. Hafla Show, 1st Nov 2014, Vantaa, FInland : järj. Laura Zaray. Midwinter Moon 12th Jan; Organised by Moon Dance Studio / Anu Toivonen. My 20th Anniversary Show. VUO 5.10., Turku, Finland; organised by Karkadeh Assoc. A joint performance of Oriental Dance, Flamecno and live music. From Sahara to Sibelius 24th March, Helsinki, Finland; together with Aimina, Peppina Lindfors and Heli Turunen. Summer festival in, Savonlinna, Finland (June); Organised by Farah Association; Workshops and shows: The Wedding of Erik John's Son & Gala Oriental. Mabruk Masrah, Helsinki, Finland (Oct); Organised by Masrah Association. The Wedding of Erik John's Son; Savonlinna, Finland (Nov). Organised by Farah Association. Karkadeh – Moods of Oriental Dance and Music, produced by Pauliina Tiainen and Anu Toivonen, Turku, Finland: solos and group dances. Karkadeh – Soirèe, produced by Pauliina Tujula and Anu Toivonen, Turku, Finland: solos and group dances. Oriental Fantasy and Friends; Beata ja Horacio Cifuentesin show in Järvenpää, Finland 4th Dec; organised by Amina. Group dances with Amina, Peppina Lindfors and Heli Turunen. International Summer Festival, organised by Seitsemän Hunnun Tanssi (Dance of the Seven Veils) Association, Jyväskylä, Finland: dancing in the duo El Nahar. * Should You wish to contact me by e-mail, please replace (at) with @ omitting the spaces.